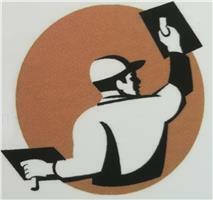 M.M Plastering - Plasterer based in Darlaston, West Midlands. Hi my name is Mike McDermott, I am a fully qualified NVQ plasterer and sole trader. I am a very conscientious worker who covers all plastering needs, from domestic to commercial, from the smallest of jobs to boarding and plastering complete houses. I am also an experienced renderer, offering Silicone K1 rendering. For any plastering or rendering enquiries feel free to call me for advice or a free no obligation quote.